A speech by the Hon Susan Kiefel AC, Chief Justice of Australia at Anglo Australian Lawyers Association on Wednesday 12 July 2017 in London. "Some reflections, following the Brexit decision, on secession, on the roles of Australian and English courts with respect to the validity of executive and legislative action and on responses to controversial decisions of this kind"
The decisions of the courts of the United Kingdom (“UK”) in Miller v Secretary of State for Exiting the European Union (“the Brexit case”) were closely followed in Australia. For some of us the case raised questions and invited comparisons. I thought I would discuss a few of them this evening. The first question involves secession in the context of the Commonwealth of Australia: could one of the States decide to withdraw from the federation? This would be a question for the High Court of Australia if it arises in the future. The High Court has been engaged in identifying and declaring the limits of legislative and executive power since its inception. This is generally accepted to be part of its constitutional role. The constitutional arrangements for the UK are not the same. Until relatively recently its courts have not had an active role in judicial review of this kind. Jurisdiction to review legislation was given to the courts when Britain entered the European Union (“EU”) and the courts have no doubt become accustomed to their new role. No reticence is evident in Miller in determining whether the executive government could use the prerogative power to effect a withdrawal from the EU without legislative sanction. The decisions of the Divisional Court and the Supreme Court – that it could not – attracted hostile remarks, not only from sections of the media but also from government ministers. Australian courts have not been spared from similar attacks. Secession from the Australian Federation? Article 50 of the Treaty on European Union (“EU Treaty”) provides that a member State “may decide to withdraw from the Union in accordance with its own constitutional requirements”. There is no provision in the Australian Constitution which addresses the question of secession. The Chapter which is entitled “New States” addresses only the admission and establishment of new States, the alteration of State boundaries and the formation of new States by separation of a territory from a State. There was very little discussion during the Convention Debates about the possibility that a State might attempt to secede. There seems to have been something of an assumption, or perhaps a conviction, that the States would remain together for all time. The preamble to the Constitution refers to the people of the colonies there mentioned uniting in “one indissoluble Federal Commonwealth”. Some academic commentators have suggested that these words make it clear that the union was intended to be permanent. The words chosen are thought to reflect views about the “fearful cost” of the American Civil War and the need for the union of the States to be permanent. With one exception there has been little thought given to the possibility of a State seceding from the Commonwealth. Only a few individuals, whom Australians would call “colourful characters”, have declared the secession of their farm lands from Australia, the conversion of the lands to principalities and themselves to princes. Little attention is usually paid to these events, save perhaps for the Commissioner of Taxation. The exception of which I speak is Western Australia. In 1934 the Western Australian government presented a petition to the Imperial Parliament seeking an amendment to the Imperial Constitution Act to enable that State to secede. In support of the petition, counsel for Western Australia referred to the State’s economic grievances, the support of the people of Western Australia at a referendum about secession and the British Parliament’s power to amend the Act in accordance with the doctrine of Parliamentary sovereignty. In a report of a Joint Select Committee of the House of Lords and the House of Commons it was observed that the practice of the Imperial Parliament was not to act in the internal affairs of a dominion unless requested by its government, a practice confirmed by the Statute of Westminster. The Committee concluded that in the absence of a “definite request of the Commonwealth of Australia conveying the clearly expressed wishes of the Australian people as a whole” the petition was not receivable. The question for the UK courts about Brexit was not whether secession is possible. The EU Treaty says that it is. The question was how it could be undertaken or, more particularly, whether the executive government could effect the withdrawal of the UK from the EU itself without the sanction of Parliament by the use of the prerogative power. The prerogative power, in the UK as well as in Australia, is a reference to the residue of powers which remain vested in the Crown and it is exercisable by Ministers, provided its exercise is consistent with statute. It is a power which is used to deal with situations which are not provided for by statute, including declaring war or withdrawing from treaties. The majority in Miller accepted that the general rule is that the power to make or break treaties is exercisable without legislative authority and that that power is not reviewable by the courts. The general rule, the majority explained, rested in large part on the notion that treaties are not part of United Kingdom domestic law and do not give rise to legal rights or obligations which are the concern of the courts. The problem, as the majority saw it, was that that situation was altered by the European Communities Act 1972 (UK). That Act had the effect of constituting EU law as a new and independent source of domestic law. EU law would cease to have effect upon withdrawal from the EU. In short, withdrawal from the EU would change UK law. It was a fundamental principle, the majority held, that, unless permitted by statute, the prerogative power does not permit Ministers of the government to effect a fundamental change in the constitutional arrangements of the UK. Withdrawal could not be effected by notice given by a Minister of the government. It is not my purpose to offer a view about the reasoning in Miller. The point to be made is that the case involved the UK courts determining the limits of executive power and they did not hesitate to do so. History may suggest that the courts have not always been comfortable in that role. The recognition in Australia of the constitutional role of the High Court to determine questions of this kind is due in large part to the identification in the Australian Constitution of the legislature, the executive and the judiciary as separate from each other and the creation of a federal judiciary with a discernible constitutional role. The validity of Commonwealth legislation may be challenged on a number of bases, for example that the legislation is not sufficiently connected to a head of legislative power listed in the Constitution, that it cannot be characterised as having the requisite purpose, or because it impermissibly burdens an implied constitutional freedom. A non-Commonwealth statute may be invalid for inconsistency with a Commonwealth statute. This is perhaps the closest analogy to the jurisdiction which the UK courts now exercise in reviewing UK legislation for inconsistency with EU law. However the Australian Constitution does not accommodate the review of legislation on grounds relating to human rights. Regardless of this limitation, Australian courts, the High Court in particular, are used to reviewing legislation. One of the first successful challenges to legislation was made in 1908. The High Court has regularly, though not frequently, also determined challenges to executive decisions, whether made under a statutory power or the prerogative power. One of the first successful reviews of this kind was in 1922. More recently, the Court held invalid a declaration by the Minister for Immigration and Citizenship that Malaysia met the criteria stated in the Migration Act 1958 (Cth) so as to enable asylum seekers to be removed to Malaysia. The Court has twice ruled that there are limits to the executive power of the Commonwealth to spend, by funding religious education programmes in State schools. Of course there have been many occasions when the Court has upheld the exercise of executive and legislative power as valid. The point is not that the Court is prepared to hold exercises of legislative and executive power as invalid; it is that it has not doubted its jurisdiction to do so under the Constitution and, generally speaking, neither has anyone else. England has no written Constitution, but it does have a doctrine of parliamentary supremacy which does not serve as an encouragement to the courts to review the validity of legislation. The doctrine promotes reliance on statutory interpretation to limit the operation and effect of statutory powers. The House of Lords has on a number of occasions confirmed that the function of the courts is to construe and apply the enactments of Parliament. In 1974, the House of Lords said that there may be arguments as to the correct interpretation of a statute, but there could be none as to whether it should be on the statute book at all. The courts have no power to declare enacted law to be invalid. The doctrine has more recently been questioned. In 2005, in Jackson v Attorney-General some members of the House of Lords questioned whether the principle of the legislative sovereignty of Parliament should be regarded as absolute or whether it could be qualified. Lord Hope said that parliamentary sovereignty “is no longer, if it ever was, absolute … Step by step, gradually but surely, the English principle … which Dicey derived from Coke and Blackstone is being qualified”. Whilst Parliament’s sovereignty was limited by these two statutes, the courts were given a new and substantial jurisdiction to “disapply” legislation that is inconsistent with EU law. According to one commentator the decision of the House of Lords in Factortame (No 2) marked a turning point in the House’s approach. It was no longer required to rely on a “contrived interpretation” of legislation. Lord Bridge explained that under the European Communities Act 1972 it was clear that it was the duty of a UK court to override any rule of national law which was in conflict with a rule of EU law. It would now simply declare that inconsistent legislation must be disapplied. Subsequently, the Human Rights Act 1998 gave jurisdiction to the courts to declare legislation to be incompatible with the European Convention on Human Rights. The role of the courts in reviewing legislative action was even further widened. The statute in A v Secretary of State for the Home Department permitted the Secretary of State to have persons detained on the basis of a reasonable belief that they are a risk to national security and a reasonable suspicion that they are terrorists. The provision in the celebrated case of Liversidge v Anderson, decided 60 years earlier, was not that dissimilar. It allowed the detention of a person on the basis of the Secretary of State’s opinion that he had reasonable cause to believe that a person was of “hostile associations”. The difference of course is that in Liversidge v Anderson the Secretary’s opinion was held to be unchallengeable so long as the Secretary acted in good faith. The lone dissentient was Lord Atkin – but then he was a Queenslander by birth. In A v Secretary of State there was no need to focus on the opinions formed. The statutory provision was simply declared to be incompatible with the Convention. So much had changed. In a speech delivered earlier this year Lord Neuberger, with his customary frankness, described the attitudes of the House of Lords to judicial review before the 1960s as “rather spineless” . His Lordship acknowledged that by making the European Convention on Human Rights part of the UK law, judges were given a greater ability to protect citizens from inappropriate interference in their lives. One might go further. Judges became accustomed to pronouncing upon the operation of statutes and thereby executive action under them. It may be accepted that the courts’ role under the European Communities Act 1972 and the Human Right Act 1998 differs from their role in constitutional matters. It is difficult though to think that when courts become used to a role with respect to statutes and executive action under them, this would not affect the courts’ perceptions of their role more generally and in particular their constitutional role. The reasons in the decisions in Miller reflect a greater level of confidence by the courts as to their role than there has been in the past. Changes regarding the role of the courts with respect to legislative and executive action were not the only significant matters in the background to the Miller decisions. The courts’ own view about review of the prerogative power underwent a substantial change. Until 1984 the long-held view was that a decision of the executive was only amenable to judicial review if it was said to be based on a statute. A decision based on the prerogative power was considered to be beyond the reach of the courts. In Council of Civil Service Unions v Minister for the Civil Service, it was held that there was no rational basis for such an approach. The exercise by the courts of their constitutional role may often have consequences for them. It was perhaps predictable that some sections of the media would react strongly against the courts’ rulings in Miller. It might not have been expected that the judges of the Divisional Court would be called “enemies of the people” because their ruling was seen to be contrary to the people’s will expressed in the Brexit poll. It was no doubt a matter of some disappointment to the judiciary here that no clear message condemning such statements was issued by the government in a timely way and that statements by members of the government about the courts’ decisions suggested, at the least, a lack of understanding of the role of the courts. Courts in Australia, the High Court in particular, have been subjected to attacks in the past even though there has been a general recognition of their constitutional role for a long time. It seems that this may be overlooked if a court’s decision is seen in some way to thwart a political plan. In former times there has been a tradition in Australia that the Attorney-General would defend the judiciary from political attack. 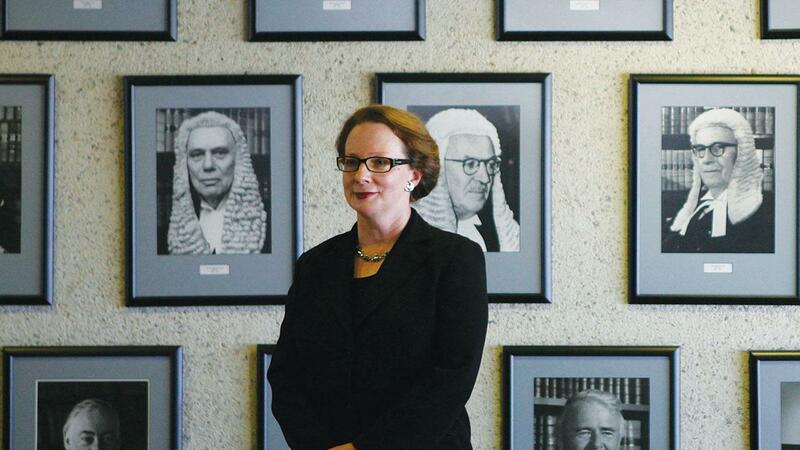 Since the late 1990s, most Commonwealth Attorneys-General have taken the view that it is not part of their function to speak for the judiciary and explain its role. That is apparently not the view of the current Attorney-General. He has said that he holds to the traditional view. We are of course pleased to hear this. It is difficult though for even a right-thinking Attorney-General to respond to statements made by a Prime Minister affecting our highest courts. There are examples of this in each of our countries. In 2010 the then British Prime Minister said that he was “appalled” about a decision of the Supreme Court relating to the Sexual Offences Act 2003 (UK). Following the Malaysian Declaration case, to which I have earlier referred, the then Prime Minister of Australia gave a press conference in which she said that the High Court had turned an understanding of the law “on its head”. Our courts are careful to respect the roles of Parliament and of the executive government. It is the task of the courts to decide legal questions. They do not presume to pass judgment on political decision-making. The approach of the courts reflects a concern for the institutions on which our system of governance depends and of which the courts are a part. That system depends upon public confidence. If persons in high office express their lack of confidence in the courts, how can members of the public be expected to maintain theirs? R (on the application of Miller & Anor) v Secretary of State for Exiting the European Union  EWHC 2768 (Admin);  UKSC 5. Anne Twomey, Constitutional Recognition of Indigenous Australians in a Preamble (Constitution Reform Unit, Sydney Law School, Report No. 2 of 2011), p 8, citing Quick and Garran, The Annotated Constitution of the Australian Commonwealth (Legal Books) Sydney, 1995 (1901 reprint 293). Commonwealth of Australia Constitution Act 1900 (Imp), 63 & 64 Vict, c 12. Thomas Musgrave, “The Western Australian Secession Movement”, (2003) 3 Macquarie Law Journal, 95 at 109-110, 114-117. Thomas Musgrave, “The Western Australian Secession Movement”, (2003) 3 Macquarie Law Journal, 95 at 120-121. Thomas Musgrave, “The Western Australian Secession Movement”, (2003) 3 Macquarie Law Journal, 95 at 122. R (on the application of Miller & Anor) v Secretary of State for Exiting the European Union  UKSC 5 at . R (on the application of Miller & Anor) v Secretary of State for Exiting the European Union  UKSC 5 at -; see also . R v Barger (1908) 6 CLR 41;  HCA 43 (since doubted: see Murphyores Incorporated Pty Ltd v Commonwealth (1976) 136 CLR 1 at 23;  HCA 20). Commonwealth and the Central Wool Committee v Colonial Combing, Spinning and Weaving Company Ltd (1922) 31 CLR 421;  HCA 62 (“Wool tops case”). Plaintiff M70/2011 v Minister for Immigration and Citizenship (2011) 244 CLR 144;  HCA 32. Williams v The Commonwealth (2012) 248 CLR 156;  HCA 23; Williams v The Commonwealth (No.2) (2014) 252 CLR 416;  HCA 23. Pickin v British Railways  AC 765 at 788-789, 798. R (Jackson & Ors) v Attorney-General  1 AC 262. R (Jackson & Ors) v Attorney-General  1 AC 262 at . Michael Gordon, Parliamentary Sovereignty in the UK Constitution: Process, Politics and Democracy (Bloomsbury Publishing, 2015) 162. R (Factortame) v Secretary of State for Transport (No.2)  1 AC 603. R (Factortame) v Secretary of State for Transport (No.2)  1 AC 603 at 658-659. A v Secretary of State for the Home Department  2 AC 68. Liversidge v Anderson  AC 206. Lord Neuberger, “Reflections on significant moments in the role of the Judiciary” (Speech delivered at the Personal Support Unit Fundraising Breakfast, 16 March 2017) at . Council of Civil Service Unions v Minister for the Civil Service  AC 374. James Slack, “Enemies of the People: Fury over ’out of touch’ judges who have ‘declared war on democracy’ by defying 17.4m Brexit voters and who could trigger constitutional crisis”, The Daily Mail, 4 November 2016. George Brandis, “Julia Gillard attack offensive and her defender lame”, The Australian (9 September 2011) 29; “An interview with George Brandis QC” (2013) 83 Bar News 24. R (on application of F) v Secretary of State for the Home Department  UKSC 17. Jeremy Thompson, “’Rewriting of Act’ puts offshore deals in doubt”, Australian Broadcasting Corporation, 1 September 2011.